Are you bored of your everyday gray toe socks? Now Herringbone Books is offering several different lines of funky footwear to spice up your wardrobe. Whether you're looking to express your love of sea life through squid-printed socks, or trying to find a unique gift for a loved one, you're sure to find something to fit your needs. Here are some of the lines we're currently carrying. Chivaz is an environmentally-conscious company that blends style with function. Their thick, warm socks are excellent for hiking, and come in a huge variety of colors and patterns. These socks are just for the little ones. 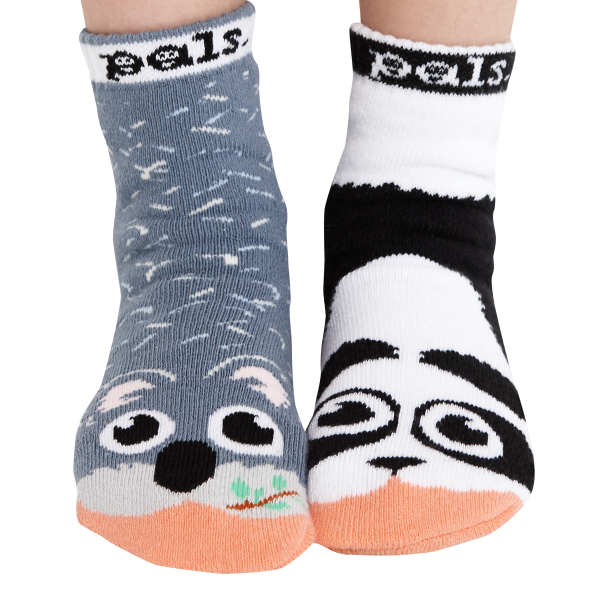 Pals Socks are fun, colorfol socks for kids that are sold in mis-matched pairs. These unique socks show kids that it's good to be different!